The Pharoah of the 18th dynasty who enslaved the Hebrews was very close to Moses, born to Hebrews and raised as an adopted child in the palace. One could understand Pharaoh for presiding over the system of slave labour, but not forgive him for cruelty with which it was inflicted. Whether this Pharoah was Ramses II, Tutenkamun or Akhnatan is not possible to confirm, mainly because the Torah insists on titles of respect. However, such respect is even more insisted upon as due to the Almighty Creator. 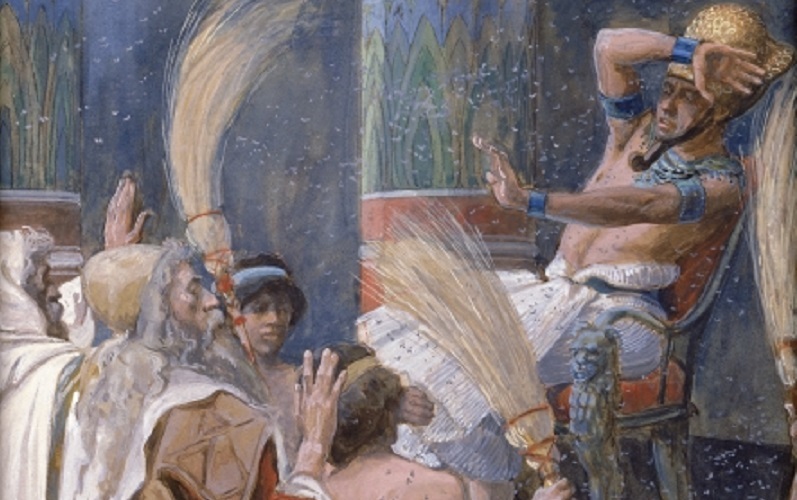 Until Pharaoh admitted that he could not override God’s will, the slaves could not be freed. The Torah’s depiction of Egyptian slavery outlines the relationship Israelites have had with the law of the land. No law ought to enslave or supress, yet rebellious uprising without trying every available legal channel of appeal is not promoted by the Torah. The ruler, however cruel, is addressed respectfully and given a chance to recognise God. Even Pharoah was given 10 chances before the Hebrews left Egypt. As Pharoah failed to take advantage of the chances handed to him by the Almighty, he and his people complicit in the slavery were punished before being petitioned again. Sadly, even after the final plague which killed Pharoah’s own child, he agreed to chase after the Israelites, drowning his army in the sea doing so. The later prophetic view of Pharaoh is of an arrogant despot who believed that he was so omnipotent that he had created himself and that the Nile was the eternal cradle of his creation. Ultimately, the Exodic Pharoah is said to have alone survived the drowning at sea, returning to Egypt to tell his people of the miracles by the God of Israel, thus confirming His supremacy over the self-worshipping Pharaonic dynasties.